Do you have a passion for conservation and education? Do you enjoy working with a diverse audience of learners? Are you looking for an opportunity to combine your leadership, guiding and teaching skills and share your knowledge of nature and conservation? Are you looking for a flexible, part-time position and live in the Lethbridge, southern Alberta area? The Southern Alberta Chapter of the Canadian Parks and Wilderness Society (CPAWS SA) is seeking an enthusiastic, skilled Environmental Educator and Interpretive Guide to join our CPAWS Southern Alberta chapter. The successful candidate will deliver programs in southern Alberta. Any administrative work will be home based. Hours will be variable based on demand of bookings. The Canadian Parks and Wilderness Society is Canada’s voice for wilderness. 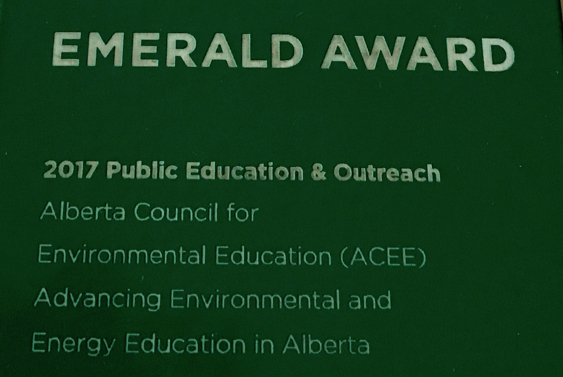 In addition to our conservation work, the Southern Alberta chapter is also a leader in the field of environmental education. Since 1997, CPAWS Southern Alberta’s education departments has been providing award-winning in-class and interpretive hiking programs to schools in Calgary and the surrounding areas. CPAWS Southern Alberta’s education programs provide students with meaningful learning experiences that focus on enhancing curriculum while championing local conservation, the value of protecting parks and wilderness areas and inspiring environmental stewardship. We are looking for a new member of our team that can deliver CPAWS programs in Southern Alberta. Completed undergraduate degree in environmental science, education or in a related field with experience in the field of environmental education. A current wilderness first aid certificate – for the right candidate, we may be able to pay for (re)certification. Experience working with youth outside. Familiarity with the education curriculum in Alberta. Strong teaching skills and classroom management. Knowledge and passion of Southern Alberta ecosystems and biodiversity. Minimum of two years of work experience in an education-related field. Strong public speaking, writing, organizational, creative thinking and critical thinking skills. Proficient with Microsoft suite of programs. Driver’s license and access to a reliable vehicle, appropriate liability insurance and criminal record check at time of hiring. Ability to work from home (as your office) and to travel to schools and hiking permitted locations throughout Southern Alberta, including (but not limited to), Lethbridge, Pincher Creek, Lundbreck, Crowsnest Pass, Kainai Nation, Piikani Nation, Siksika Nation, Brooks, Medicine Hat, etc. Ability to travel to Calgary for training. Please send all resumes and cover letters to Jaclyn Angotti, Education Director, at education@cpaws.org. We regret that we will not receive phone calls regarding this position. Only selected individuals will be contacted for interviews.